The zero-emission transportation revolution has arrived. 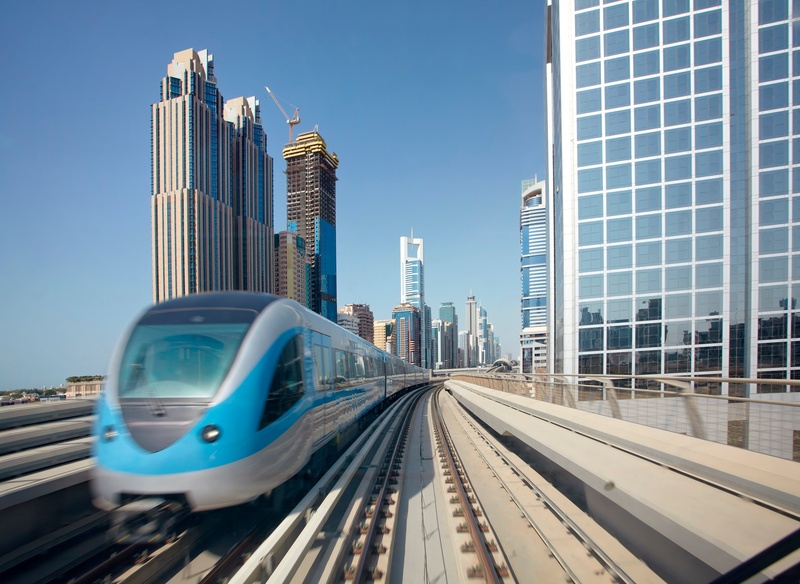 A number of innovative countries are at the forefront of this change and are turning to fuel cell technology (also known as hydrail) to replace traditional diesel powered trains in mass transit. The result? A clean energy source for mass transit that is better for the environment than diesel and less costly than building the overhead catenary infrastructure required by electric trains. Hydrogen trains deliver on zero emission technology, replacing diesel with hydrogen so that the emission is harmless water vapor rather than choking, toxic fumes. Recognizing these significant environmental and economic advantages, Germany and China have started to transition their rail to hydrogen powered trains. 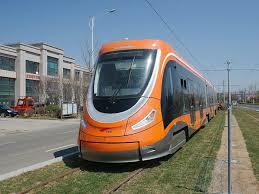 In 2015, the province of Qingdao, China deployed its first fuel cell tram. The train can reach 60 kilometers per hour with a 380 passenger payload and has a range of 100 kilometers. The city of Foshan, in southern China's Guangdong province, began building tram lines in 2016 and has invested $72 million in a new plant to manufacture hydrogen trams. Meanwhile, Germany is revolutionizing the way rail is powered, as evidenced by the state of Schleswig-Holstein which has an aggressive public transportation plan to replace all diesel trains with hydrogen-powered trains. The first operational trains are expected to roll out by early 2018. It’s only a matter of time before other nations follow suit. While interest is presently accelerating, hydrogen train technology has been available for several years. The first fuel cell-battery hybrid railcar was given a test run back in 2006 in Japan. Since then, the technology has matured and is moving toward mass adoption. Hydrail works by using a hybrid configuration of hydrogen fuel cells and batteries. Hydrogen is used as the fuel source and, using fuel cells, the hydrogen is converted into electricity. That electricity is then fed to batteries that have the job of dispersing the energy to the motors. During braking, the batteries recharge themselves. Excess energy can be stored for later use, further contributing to fuel efficiency. Unlike track electrification, fuel cell train systems can run on existing tracks and take about the same amount of time to refuel as traditional diesel engines. This eliminates the need for hefty investments in infrastructure overhauls, such as installation of overhead electrification lines. In addition, fuel cell costs have dropped drastically in recent years, further adding to the appeal of hydrogen trains as an alternative to traditional diesel railway transit. There are other advantages to hydrogen. The fuel is ideal for long-distance routes, an advantage compared to 100 percent battery powered transit which has a more restricted range. Hydrogen trains also offer reduced noise pollution compared with diesel engines, another plus for population centers already exposed to noise and air quality issues. Several regions around the world are beginning to take notice of the many advantages of hydrogen powered trains, and continued adoption of these revolutionary systems will lead us to a tipping point. The hydrogen distribution network has matured, especially in Europe. And as the technology gets more widely adopted, there will be more skilled technicians available to deploy, maintain, and repair the fleet. 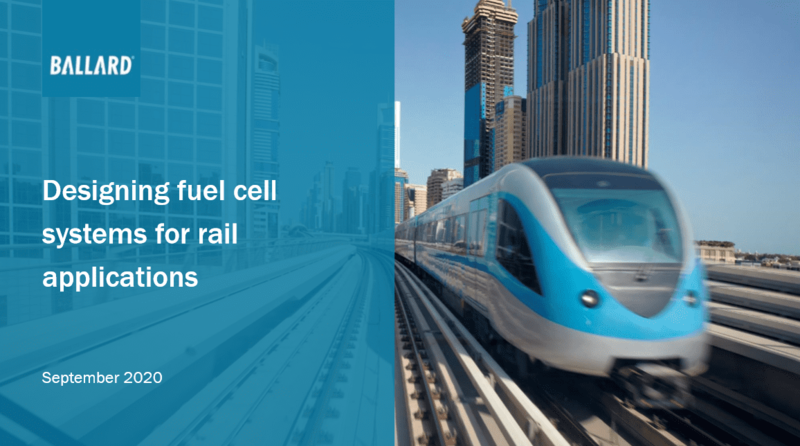 With most of the world's municipalities long in search of more economical, efficient, and environmentally-friendly alternatives, hydrogen fuel cell trains offer a solution to many of the greatest challenges faced in mass transit. Get inspired by real-world hydrogen train projects. Learn more about Ballard's fuel cell-powered trams in demonstration globally.